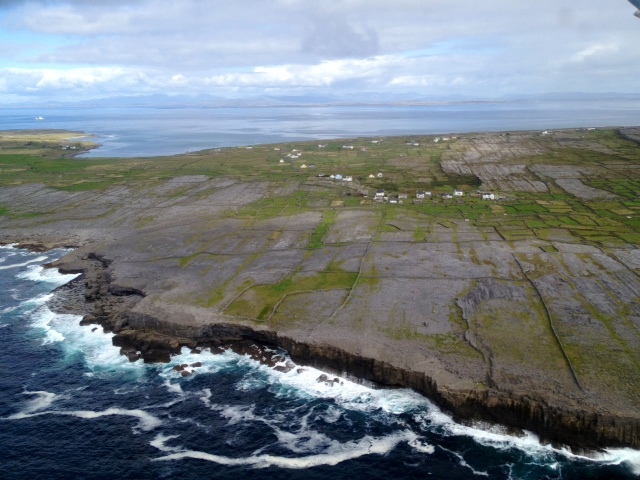 A scenic flight with Aer Arann from Inverin Airport outside of Galway, takes in the cream of Ireland's scenery which is the reason 82% of tourists come to Ireland. The Connemara coastline with the majestic 12 Bens (mountains) in the background, the world famous Cliff of Moher, which is pretty much on every visitors bucket list and the 3 Aran Islands, Inis Oír, Inis Meain and Inis Mór with its ancient fort, Dún Aengus perched on a spectacular cliffside setting. 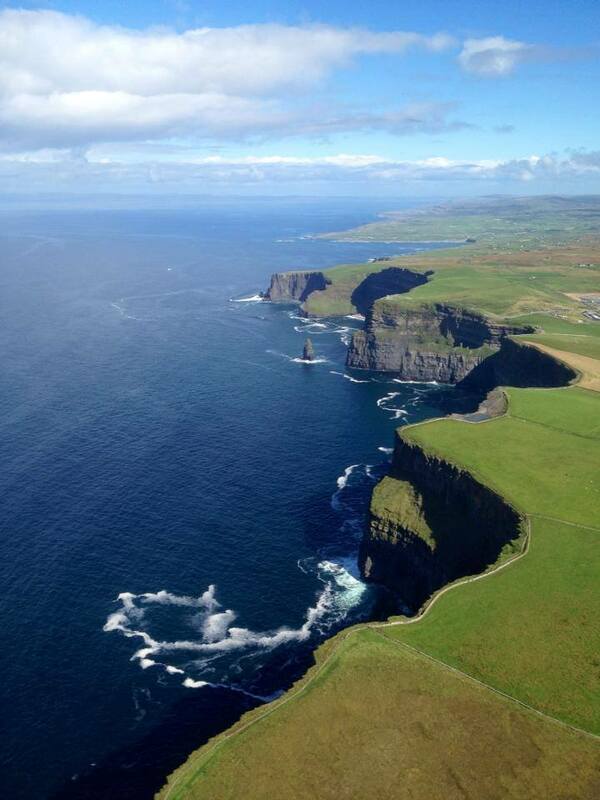 Without doubt this is one of the Top 10 things to Do and See in Ireland, if you get the weather? ie It is better to arrange this on spec while you are actually in Ireland. Aer Arann’s scenic flight in an 8 seater plane departs daily about 12ish during the summer. Tip, if you are a keen photographer and show up early ask if you can sit beside the pilot for a ring side seat of best views in Ireland. 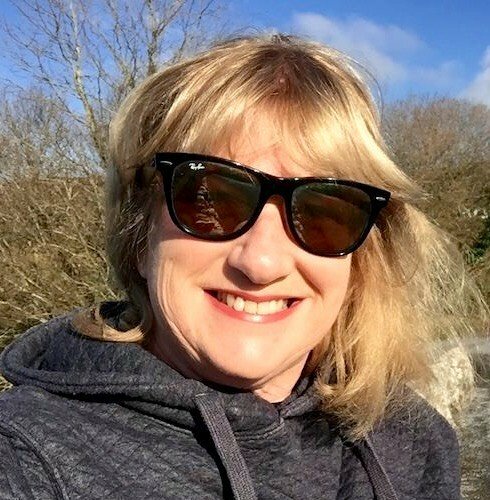 Last saturday was just such a day and as luck would have it, what we call ‘a pet day’ in Ireland (which means an unseasonably warm and calm day which we can even get in the middle of winter) the type we have become accustomed to grabbing with both hands lately, lest it be our last ! 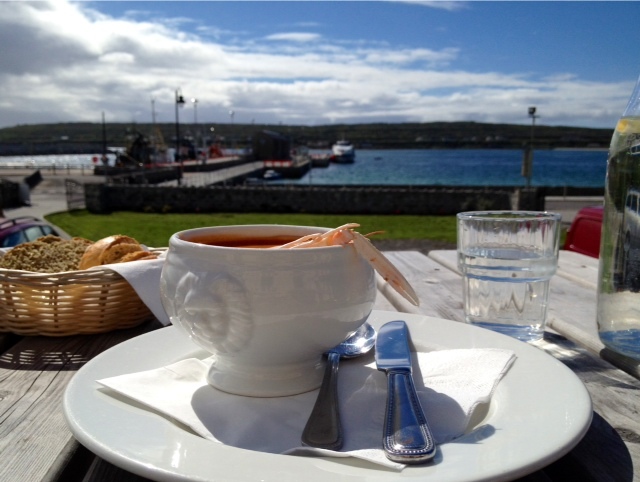 As always there is a mixture of islanders and tourists in this pocket size airport which Aer Arann proudly boasts operates more transatlantic flights (albeit 15 minute ones) daily than any other airline in the world with its busy service backwards and forwards to the Aran Islands. 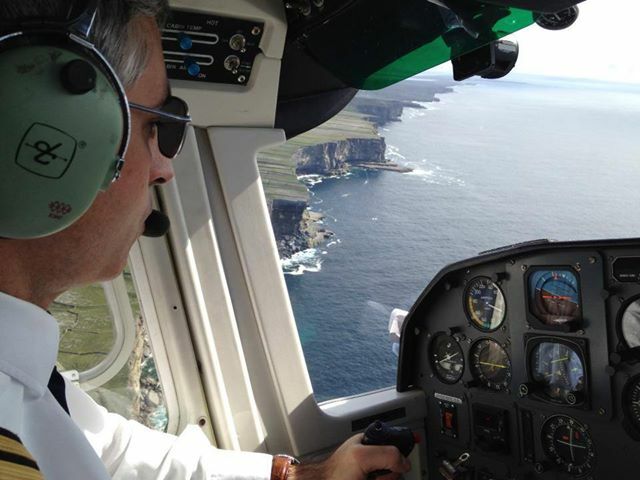 For more information about Aer Arann Scentic Flights please click here.